The Archbishop Fulton John Sheen Foundation is pleased to welcome His Excellency Bishop Gerald M. Barbarito to the Episcopal Advisory Board for the Cause for Beatification of the Servant of God... Archbishop Fulton J Sheen. Bishop Barbarito joins bishops from around the US in supporting the cause. 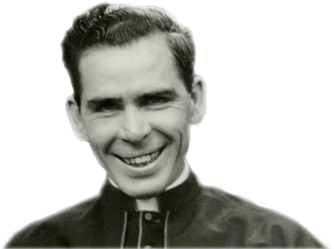 Fulton Sheen (1895-1979)was a universally popular evangelist, radio/TV personality, writer and missionary. In 2002, his cause for beatification and canonization was officially opened by the Diocese of Peoria, IL, Sheen’s birthplace. The Sheen Foundation is the official promoter of the beatification cause. The Foundation welcomes Bishop Barbarito and encourages the Diocese to visit the Foundation’s website, www.archbishopsheencause.org to learn more about Archbishop Sheen’s Canonization and how to help the Cause. CatholicTV is honored to air “Life is Worth Living” hosted by Archbishop Sheen.